There are a variety of materials used to fill teeth these days, but the process of filling a tooth is similar regardless. The first step is a clinical exam of the tooth with x-rays, to determine the extent of the decay. Then the decayed area of the tooth is removed, usually with a handheld instrument such as a dental drill. 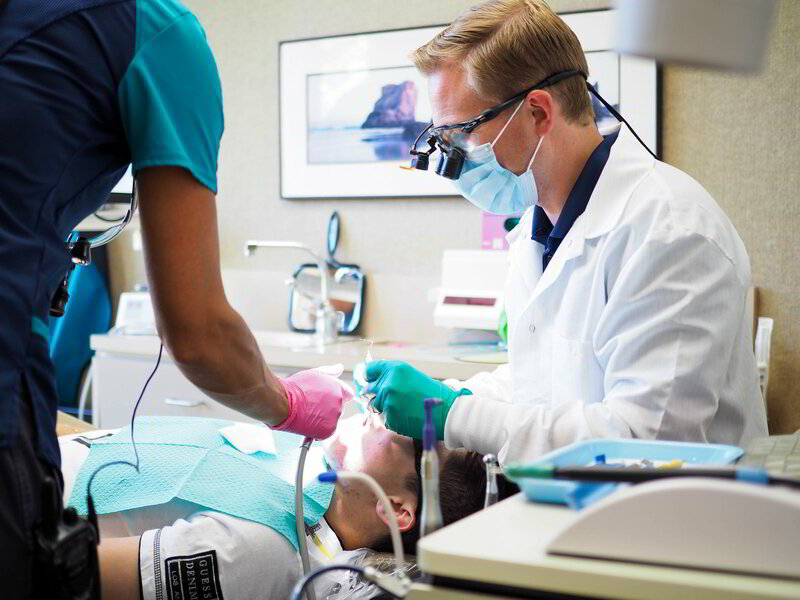 Of course, your tooth will be anesthetized first, so you won't feel any discomfort. If you normally feel nervous about receiving numbing injections, it's possible that taking an anti-anxiety medication or using nitrous oxide can help you feel more relaxed. After removing the decay, the remaining tooth structure is roughened or “etched” with a mildly acidic solution; then translucent cement is applied to bond the tooth and the filling material together. It's estimated that in the United States, oral cancer is responsible for killing one person every hour, every day. 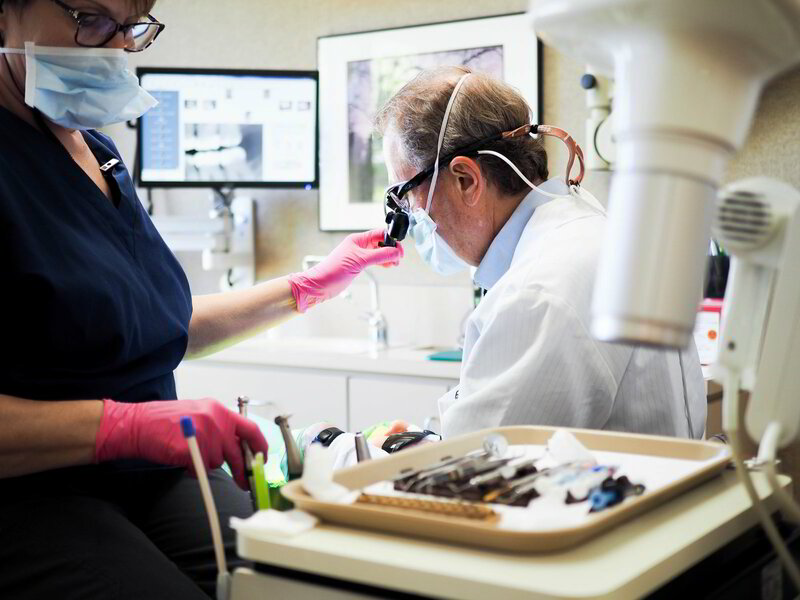 While it accounts for a relatively small percentage of all cancers, oral cancer is dangerous because it isn't usually detected until it has reached an advanced stage. At that point, the odds aren't great: only about 6 in 10 people will survive after five years of treatment. If there was a simple test that could give you an early warning about whether you're likely to have this disease, would you take it? The good news is — there is! Since early detection has been shown to increase the survival rate of oral cancer to 80% or better, this test can truly save lives. And best of all, having an oral cancer screening is part of something you should be doing anyway: getting regular dental checkups. Oral cancer used to be thought of as an older person's disease, and it still mostly affects those over 40. But today, younger people form the fastest-growing segment among oral cancer patients. This is primarily due to the spread of the sexually-transmitted Human Papilloma Virus (HPV16). Of course, the other major risk factors still apply: If you're middle aged or older, a moderate to heavy drinker or a long-time tobacco user, you have a greater chance of developing oral cancer. Chronic exposure to the sun, long known to cause skin cancer, is also associated with cancers of the lips. Genetic factors are thought to have a major impact on who gets the disease as well. These deep-cleaning techniques are the best starting point to control gum disease. Plaque and calculus (tartar)are removed from beneath the gum tissues, using hand scalers and/or ultrasonic instruments. Sometimes it's necessary to replace areas of lost gum tissue so that tooth roots are adequately protected. moving it to where it is needed, or by using laboratory-processed donor tissue. that createsa more pleasing appearance of the gum tissues. the smile less gummy) or to aid in securing a new dental crown. and indistinguishable from a natural tooth. At Erickson Dental Care we're here for you for all your dental needs from childhood to adulthood! Majority of children are born fearless or it may seem so to parents so it's safe to say they aren't born with a natural fear of the scary dentist, but they can fear what they simply don't know! Hygiene for children is incredibly important in setting the foundation for the longevity of their teeth and gums. We at Erickson Dental Care encourage children as young as one visiting us at least twice a year for routine check-ups, cleanings, and examinations where they can enjoy a positive child-friendly experience with our caring dental team while getting comfortable at an early age with the dentist and developing proper dental routines! When they can leave our office happy, we are starting children off on the right path to keeping their smile and oral hygiene flawless for the long haul! Even if you brush and floss your teeth faithfully, it is important that you have your teeth professionally cleaned on a regular basis. (Of course, if you aren't quite so meticulous about your oral hygiene, it's even more important!) After a thorough cleaning, your teeth will feel smooth and squeaky-clean, and they will probably look a lot brighter too. But professional teeth cleanings aren't done for looks alone. Over time they tend to build up a layer of plaque (a sticky, bacteria-rich film) and hard deposits (called tartar, or calculus) that are very difficult to remove without special tools. When these deposits are allowed to remain on the tooth surfaces or below the gum line, they provide ideal conditions for bacteria to grow and multiply. The acids produced by some bacteria cause tooth decay and gum disease; if left uncontrolled, this can lead to inflammation and infection of the gums, and possibly influence systemic (whole body) diseases. 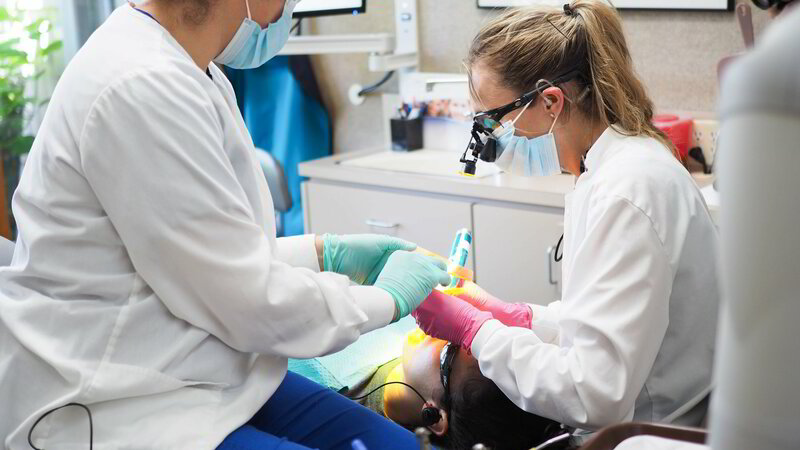 Most people don't feel any noticeable discomfort during dental cleanings; some even report they enjoy the experience, especially the dramatic results when it's done! If you haven't had a cleaning in a while, however, it may take you a few moments to get used to getting your teeth cleaned. If you experience any discomfort, however, it may be possible to apply a topical numbing gel or another type of anesthetic. While some mistakenly think of it as an unusually painful treatment, in most cases the procedure is no more uncomfortable than getting a filling. It's actually one of the most effective ways of relieving some kinds of tooth pain. A root canal procedure becomes necessary when infection or inflammation develops in the pulp tissue of the tooth. Pulp tissue consists of blood vessels, connective tissue and nerve cells — which explains why a problem here may cause you to feel intense pain. In time, the pain may go away... at least temporarily. Without treatment, however, the infection won't. It can lead to a dental abscess, and may even contribute to systemic problems in other parts of the body. The two TMJs that connect your lower jaw, the mandible, to the temporal bone of the skull on either side, are actually very complex joints that allow movement in three dimensions. The lower jaw and temporal bone fit together as a ball and socket, with a cushioning disk in between. Large pairs of muscles in the cheeks and temples move the lower jaw. Any of these parts — the disk, the muscles or the joint itself — can become the source of a TMD problem. If you are in pain or are having difficulty opening or closing your jaw, a thorough examination can help pinpoint the problem area; then an appropriate remedy can be recommended. Still, tooth extraction is nothing to be feared when done by an experienced hand. Keep in mind that a tooth is not rigidly fixed in its surrounding bone, though that's how some may picture it. In fact, it is attached to the bone via a network of fibers that form what's known as the periodontal ligament. By carefully manipulating the tooth, these fibers can be detached, and the tooth freed without much trouble. If a baby tooth is out of position or not lost in the right sequence, the permanent tooth underneath it might not erupt normally. In this case, removing the baby tooth could prevent a need for orthodontic treatment later on. In both of these situations, there are several ways to try and save the tooth. The damaged tooth might need a full-coverage crown, a root canal treatment, or both. But sometimes even these methods are not enough to keep the tooth functioning well and looking good; it might be better to remove the tooth and replace it with a strong and lifelike dental implant. Early removal of impacted wisdom teeth can prevent damage to neighboring healthy teeth, bone, gum tissue, even nerves and blood vessels. If an impacted wisdom tooth is in a bad position, it's best to remove it before its roots are fully formed.